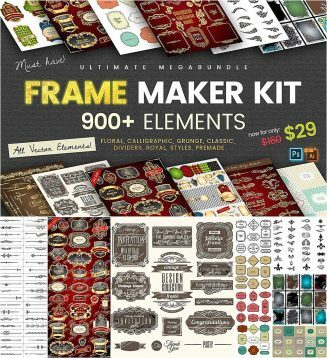 This mega pack with 900+ elements can help designers to create thousands of modern, minimal, floral, calligraphic, grunge, classic, royal, glamor and other styles frames, borders, badges, logos. 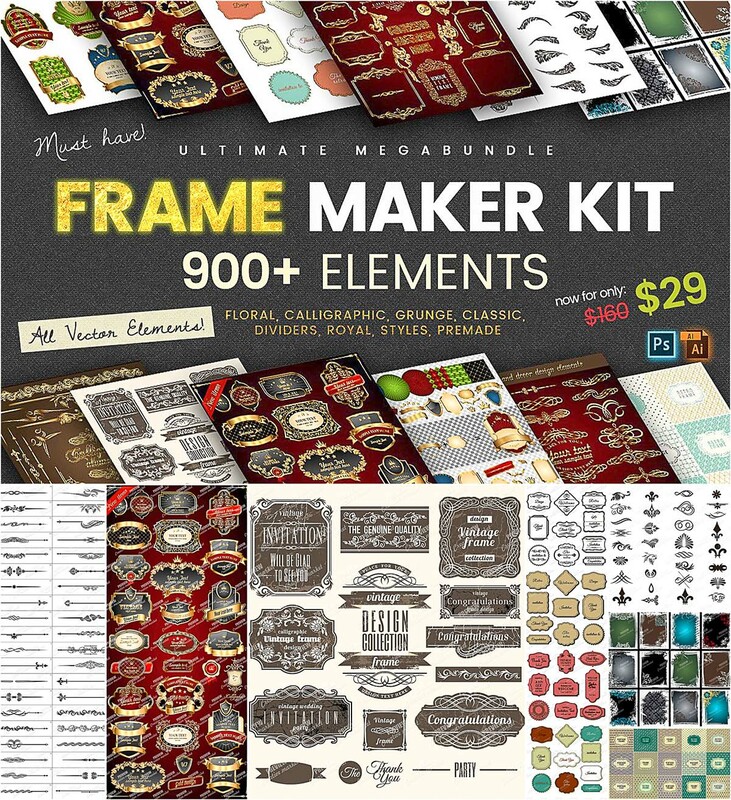 It contains a lot of separate elements, styles, vector seamless patterns and premade frames. Tags: banner, Calligraphic, classic, floral, frame, victorian, vintage decorations, vintage frame.